Dealing with the grief of losing a loved one is difficult and painful enough without the stress of organising the funeral. For this reason, many people hire a funeral director in order to relieve them of the burden of making the necessary arrangements. 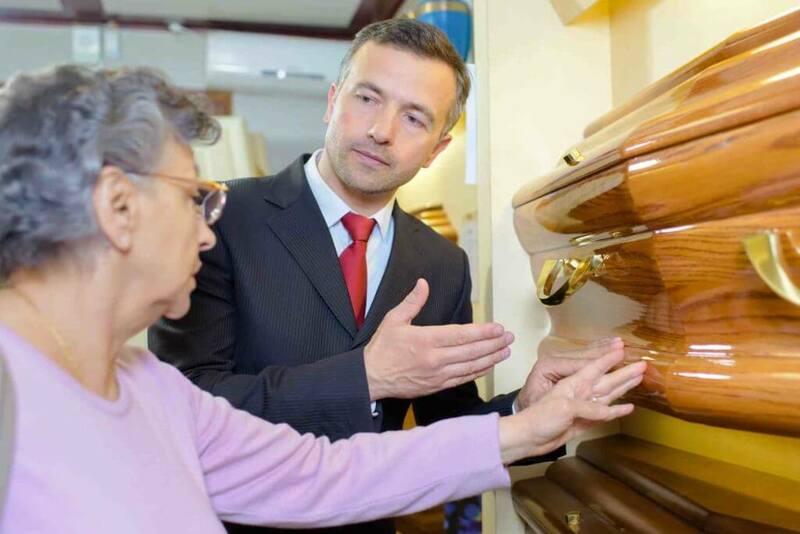 Bear in mind that – although it often makes the process easier – it is not mandatory to hire a funeral director. You can arrange a funeral for your loved one by yourself if you would prefer to do so. Followers of some faiths must personally undertake some of the duties traditionally given to a funeral director to arrange, such as washing and preparing the bodies of their loved ones. However it is still worth hiring a funeral director to arrange other matters, such as the venue, car hire or flowers to make the experience less stressful. What does a funeral director do to a body before the funeral? The funeral director’s role starts soon after death. They will transport the deceased to the funeral home where it will be kept in cold storage to preserve it until the funeral. Should you wish to keep the body at home, they will also make arrangements for that. if you are having an open-casket funeral, wake or viewing and want the deceased to be presentable, the funeral director can arrange for your loved one to be fully embalmed. You can also have makeup put on the body without the full embalming procedure for brief viewings. However, you are under no obligation to have the body embalmed if you don’t want to. The funeral director will arrange all the paperwork necessary for burial or cremation and place death notices in newspapers or online according to your wishes. Funeral directors can also get in touch with funeral guests on your behalf. They can send invites to the funeral and thank you cards afterwards. The only piece of paperwork a funeral director cannot provide is the death certificate, which you must give to them before they begin making arrangements. They will also arrange the funeral. Details such as the venue, the hearse and other funeral cars, the funeral celebrant or minister, flowers and other details of the service can all be organised by a funeral director. What does a funeral director do after the funeral? If you wish to bury your loved one, your funeral director will discuss the choice of coffin and headstone with you and place orders once you have decided. There are often restrictions on what type of coffin or headstone can be placed in certain cemeteries, such as eco-coffins in woodland burial sites or simple granite tombstones in church graveyards. Following a cremation funeral directors can also provide containers for transporting ashes if you want to scatter them, or memorial urns if you are going to keep them. They can also arrange a burial space in a garden of remembrance or a columbarium niche and plaque. Should you want another venue for the reception or wake, and any additional things like music or catering after the funeral, you can also ask your funeral director to arrange this for you. You can also get in touch with your funeral director long after the funeral in order to arrange a memorial service if you decide to do so.